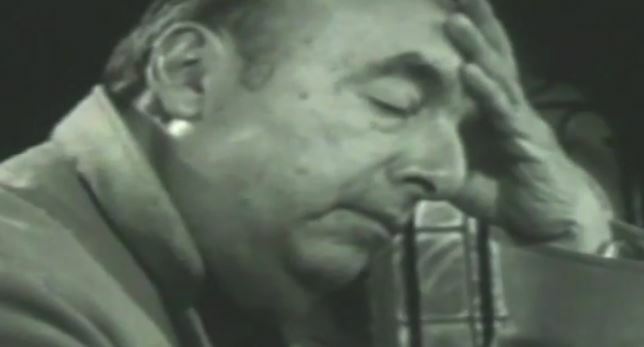 Pablo Neruda died at the age 69 allegedly from advanced prostrate cancer just 12 days after the military coup by Pinochet, which unseated his close friend Salvador Allende the left wing reformist President of Chile. 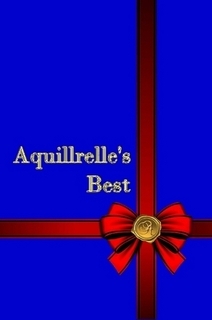 Gabriel Garcia Marquez hailed Neruda “the greatest poet of the 20th Century in any language”. It was well known where his political sympathies lay and he was advised by the Mexican Embassy to go into exile. The day before he was due to leave he was rushed to hospital where he died suddenly. Over forty years suspicions have remained of foul play and that he was poisoned. One of the arguments being that he was a danger to the new government because he would write against their regime from Mexico. In 2013 a Chilean judge ordered his body be exhumed and autopsied, which was carried out in April of that year. In November, the official report of an international forensic team stated they could find no evidence of his murder. Despite their conclusion, mystery still surrounds the circumstances of his death and the debate and investigation continues. Even members of his family are divided in their views and the Chilean Communist party point out that this is the 3rd time Pablo Neruda’s body has been exhumed and that many bodies were disposed of through illicit means under the Pinochet regime, in which case the body examined by the foresnic team may not be Pablo Neruda’s body at all. 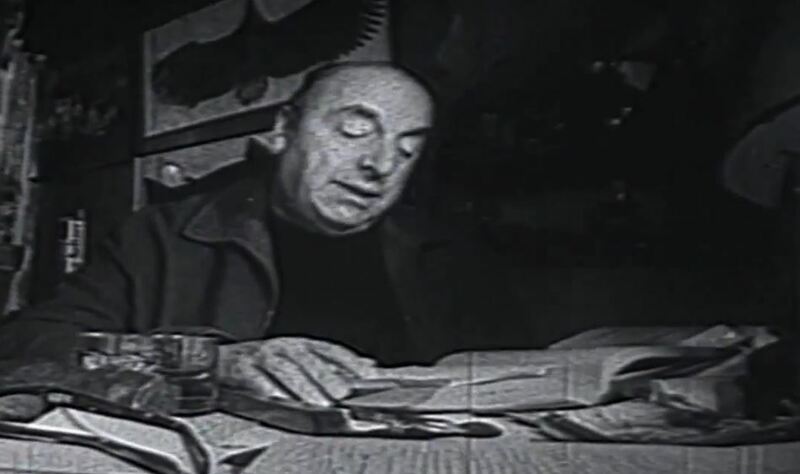 Pablo Neruda Documentary: with exclusive recital footage. Mexican poet, essayist, and political thinker. His works reflect many influences, including Marxism, surrealism, and Aztec mythology. El laberinto de la soledad/The Labyrinth of Solitude (1950), the book which brought him to world attention, explores Mexico’s heritage. His long poem Piedra del sol/Sun Stone (1957) uses contrasting images, centring on the Aztec Calendar Stone (representing the Aztec universe), to symbolize the loneliness of individuals and their search for union with others. He was awarded the Nobel Prize for Literature in 1990. Since 1939, the Unterberg Poetry Center has given discerning audiences a chance to hear the finest writers in every literary genre, and its unrivaled dedication to the writer’s voice in all of its aspects has made it America’s foremost literary forum. 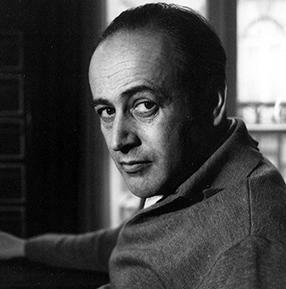 Paul Celan (/ˈsɛlæn/; 23 November 1920 – c. 20 April 1970) was a German language poet and translator. He was born as Paul Antschel to a Jewish family in Cernăuți (German: Czernowitz), in the then Kingdom of Romania, (now Chernivtsy, Ukraine), and adopted the pseudonym “Paul Celan”. (Celan in Romanian is pronounced Chelàn, and was derived from the syllables of his surname). 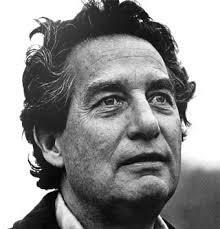 He became one of the major German-language poets of the post-World War II era. Celan remained imprisoned in a work-camp until February 1944, when the Red Army’s advance forced the Romanians to abandon the camps, whereupon he returned to Cernăuţi shortly before the Soviets returned. There, he worked briefly as a nurse in the mental hospital. Friends from this period recall Celan expressing immense guilt over his separation from his parents, whom he had tried to convince to go into hiding prior to the deportations, shortly before their death. A version of Celan’s poem Todesfuge appeared as “Tangoul Morţii” (“Death Tango”) in a Romanian translation of May 1947. Additional remarks were published explaining that the dancing and musical performances evoked in the poem were images of realities of the extermination camp life. 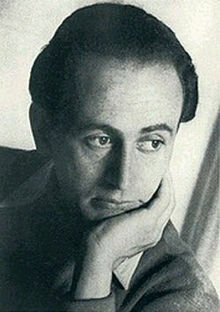 Celan committed suicide by drowning in the Seine river in Paris, around April 20, 1970. 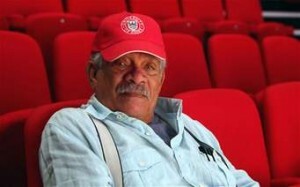 Derek Walcott.Poet of Oceanic Scales & Large Canvases. Born on the island of Saint Lucia, a former British colony in the West Indies, poet and playwright Derek Walcott was trained as a painter but turned to writing as a young man. He published his first poem in the local newspaper at the age of 14. 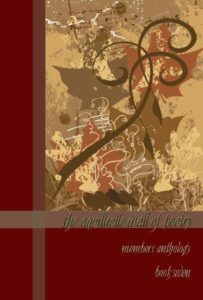 Five years later, he borrowed $200 to print his first collection, 25 Poems, which he distributed on street corners. Walcott’s major breakthrough came with the collection In a Green Night: Poems 1948-1960 (1962), a book which celebrates the Caribbean and its history as well as investigates the scars of colonialism and post-colonialism. In addition to his Nobel Prize, Walcott’s honors include a MacArthur Foundation “genius” award, a Royal Society of Literature Award, and, in 1988, the Queen’s Medal for Poetry. He is an honorary member of the American Academy and Institute of Arts and Letters. He is Professor of Poetry at Essex University. 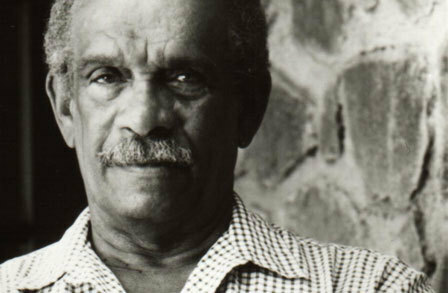 Saint Lucia's Nobel Laureate Derek Walcott interview on his extended poem "Omeros"
Adios Carenage - Part 1, Derek Walcott's epic poem, "The Schooner Flight"
Haiku (俳句 high-koo) are short poems that use sensory language to capture a feeling or image. They are often inspired by an element of nature, a moment of beauty or a poignant experience. It is the Japanese idea that the haiku should be able to be expressed in one breath. The Japanese word kiru, which means “cutting,” expresses the notion that haiku should always contain two juxtaposed ideas. The two parts are grammatically independent, and are distinct in imagery. The season or changing of the seasons, in Japanese, kigo, is an essential element of haiku. Two ideas about one subject using the senses,. Ah Haiku! Traditional haiku is written in three lines, five syllables in the first line, seven syllables in the second line, and five syllables in the third line. Nature, season, two images, don’t say the feeling, just the images which share the feeling. Write two lines about something beautiful in nature. You can use the pictures below to give you ideas. Don’t worry about counting syllables yet.